You know what's more magical than a Studio Ghibli anime? Seeing them brought to life. That's exactly what is happening in South Korea. As Kotaku reader Sylvain points out, a Studio Ghibli anime exhibit recently got underway in Seoul, South Korea. 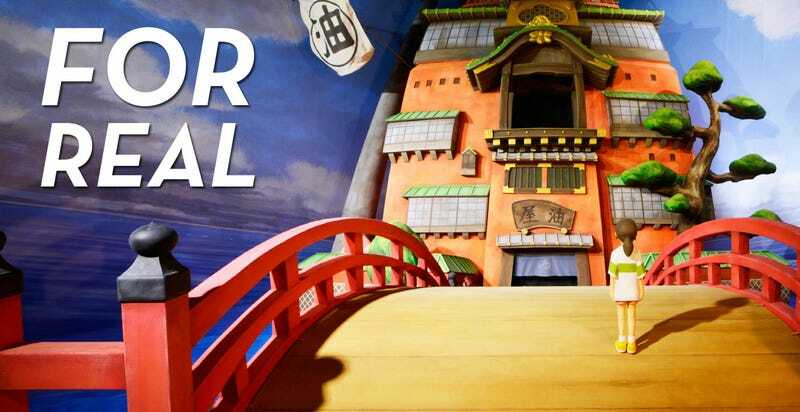 It features giant dioramas from the Japanese animation house's classic films. Some of the set-ups are apparently over 12-feet high. However, not all the installations are life-sized. There are some small shadow-box type dioramas. Below, you can see some of the large (and small) dioramas. Also included are some photos, so you can better understand the scale, as well as a map to show the exhibition's layout. The Studio Ghibli exhibit is being held at the I'Park Mall in Seoul until March 1, 2015. Check our more in the links below.